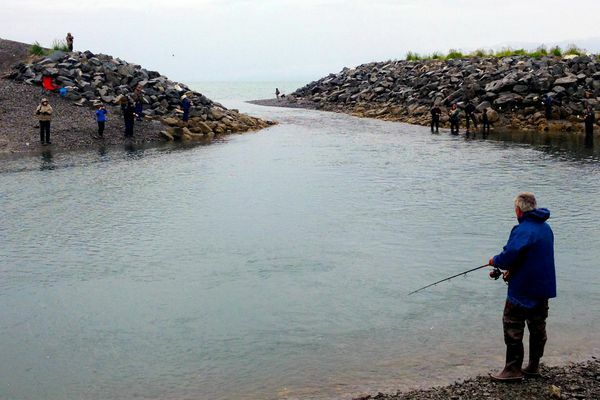 This summer marks the first time that Bird, Ship and Campbell creek anglers of Southcentral Alaska will land silver salmon raised inside the $98 million William Jack Hernandez Hatchery, a 141,000 square-foot facility in Anchorage that opened in June of 2011. Some 110,000 coho smolts were released into Bird Creek last July. Ugly but tasty fish looks like something out of a Jules Verne novel, and in Alaska they can get big. The state record is an 81-pound lingcod caught a dozen years ago. Administering salmon coup de grace -- club them, or bleed them out? Some Alaska sportfishers and dipnetters believe clubbing is the most ethical way to control flopping salmon and quickly get them out of the dipnet. But others contend it harms the quality of the fish flesh. 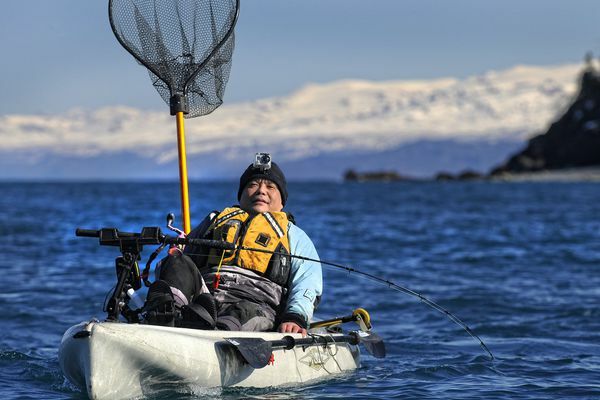 Angler Rudy Tsukada is no athlete, but the self-admitted desk jockey loves chasing salmon, halibut and rockfish from his ultra-stable 12-foot Hobie Outback. He finds the ease and convenience of kayak fishing addictive. 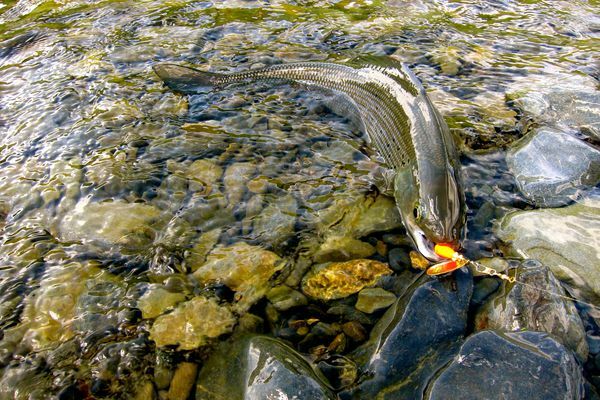 Grayling can be found in just about any mountain creek, roadside lake or large glacial lake in Alaska. They like water thats cold and clean. They also tend to be an angler favorite, with their propensity to strike a variety of flies, spoons, and spinners. High in the Kenai Mountains and miles from the daily urban grind live Arctic grayling, a species of fish so beautiful that catching one can momentarily make time stand still. 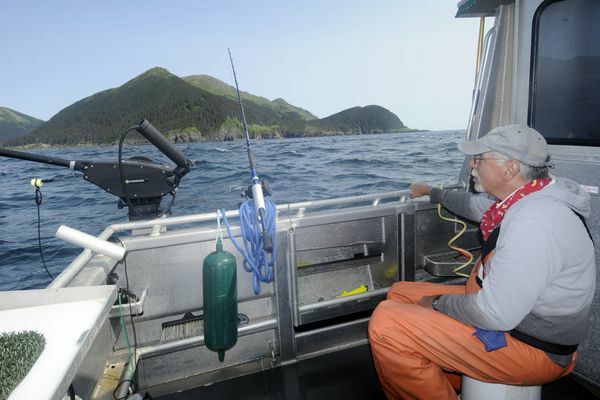 Homer's Nick Dudiak Fishing Lagoon -- better known as the Fishing Hole -- is the poor man's charter boat, a place where anglers can fish from the shore for kings, silvers and even Dolly Varden. A mixed martial arts fighter uses his skills to take down a 21-pound king salmon at Ship Creek, where the chinook action appears to be better than recent years.